One of the benefits of membership in the Potomac Fiber Arts Guild is the opportunity to continue to develop technical knowledge and proficiency by participating in a study group. 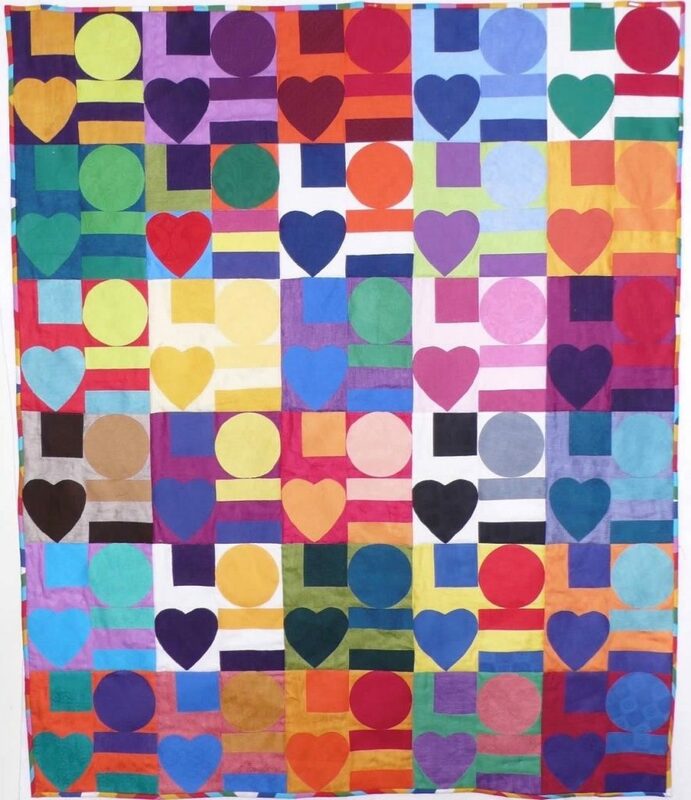 Guild members who share a common interest not only learn from each other, but also connect with others who enjoy a particular aspect of fiber arts. Each study group is self-directed, and group members determine the course of study. Study groups are an opportunity in collaborative learning where the members capitalize on one another’s knowledge and skills. Since the groups meet in members’ homes and other venues in the area, many of the groups limit the number of participants as the size of the meeting spaces warrant. However, members are encouraged to start a new group. If you are interested in either joining an existing study group if space is available, or creating a new one, please contact the Study Group Coordinator. 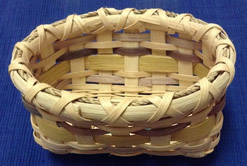 The basketry study group was formed at the end of 2016. Currently we meet about once a month in upper Montgomery County. In addition to using traditional materials, we are interested in experimenting with paper, fabric, and other found materials to make baskets. The group is a mixture of beginners and those with experience. We would welcome new members. Newly-formed in 2015, the Book, Paper, Box study group meets on the 4th Wednesday of each month at various locations throughout Virginia and Maryland. Book-making is the main focus with brief forays into paper and boxes. We sometimes get together during the social hour of the Guild meetings. 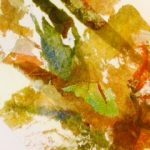 The Collage Study Group will be working with all types of papers, supplemented with watercolors, colored pencil, and other marking implements. 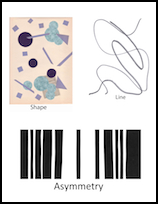 Using glue sticks, gel medium with brayers or old credit cards, we’ll be cutting, ripping and pasting special papers to card stock. 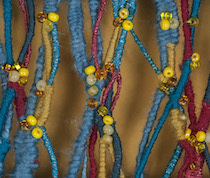 Other materials can be used, such as fabric, yarn, photos. The sky is the limit! The Color Theory Tuesday Afternoon Group meets on the 2nd Tuesday of the month from 1-3 pm in the Rockville area. Our group is too far along to add members now, but this is what we did if you’d like to start a new group and follow our format. The study group spent its first few years working through the basics of color theory. Each month a member gave a short presentation and led a group exercise on a color theory topic. Over the following month we worked individually on explorations of the topic. At the next meeting, we shared our explorations and what we learned from them. 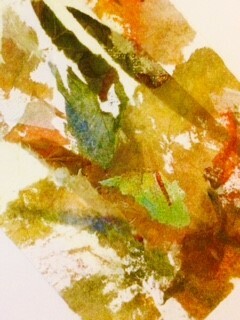 This year we are studying the palettes of different artists then doing our own explorations using those palettes. 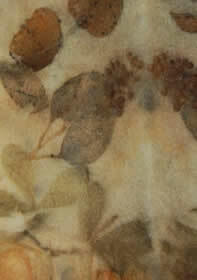 We also show each other completed projects and discuss any color issues with those in progress. 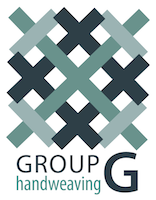 The focus for our study group is to support, teach, challenge and offer fellowship to our group members. This focus takes into consideration that all of us have different paths with our crochet and therefore can enhance all of our artistic endeavors. The Design 1 study group meets every 6 weeks or so, in homes of the members. In the past, we have focused on essential design principles/elements, visited museums, focused individually on different visual artists who inspired us, focused on an image that inspired us, and created series with the same design, differing only in the color scheme used. The topic for the 2017-18 year is space. Using David Hornung’s collage approach of background, middle and foreground (layers), each of us will try to have something for each meeting. We will show photos of the various stages of design either as designs only or as finished works and will complete at least one work by the end of the Guild year. The Design 2 study group was formed in 2010 and meets monthly. For the 2018-2019 guild year, we have decided to work our way through the book Abstract Painting: The Elements of Visual Language, by Jane Davies, focusing on the elements of design and doing the exercises in the medium(s) of our choice. We will continue to critique our designs and compositions in a rigorous fashion, using our current and past studies to inform our discussions. We will also read the book Deep Work, by Cal Newport, to give us focus on our studio practice. The Dyeing study group has members ranging from intermediate to experienced dyers. The group experiments with various types of dyes and discharging color, on natural fabric and fibers. They usually meet the fourth Tuesday of the month year-round at 10:30 am, at the White Oak Community Center, in Silver Spring, MD. Felting Study Group 1 comprises advanced felters. This year we will be focusing on advanced techniques and continuing to improve the quality of the felt we make. The Group meets on the third Thursday of the month except for the months of July and August beginning at 10 AM. The group usually meets in Potomac Maryland, but sometimes also in members’ homes. Felting Study Group 2, formed in 2014, meets monthly in members’ homes on the fourth Sunday of each month, except November and December. 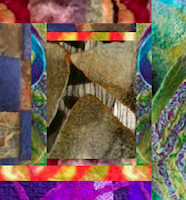 Our focus is broad, encompassing the practice of making wool felt by hand, felt objects, imagery and surface design on felt, and the use of felt fabrics in garments and accessories. Members are intermediate to advanced felters. Meetings are based on a topic proposed and led by a member and can focus on a method or technique, a specific project, or an exploration of resources available. Meetings also include discussion of members’ recently completed or in-process work, whether brought simply to share, for critique, or for advice. Our members’ diverse interests in felt have enhanced our learning from each other, and we’re beginning to find synergies among topics presented that will likely lead us to places we wouldn’t have found alone. We meet in members’ homes, usually mid-day on the second Tuesday of the month. Each month, a member chooses a piece of jewelry (of any material) to be re-interpreted by everyone in their own personal style and technique. We will do constructive critique of members’ efforts, and share resources and ideas. We welcome members at any experience level. The First Thursday Touring Group transformed itself into an outings and lunch group in late 2009 after many, many years of studying clothing. We go on a different tour every month, mostly at museums for exhibits that are usually (but not always) fiber-related, and we follow the tour with lunch, generally at a nearby restaurant, and sometimes at a member’s home. 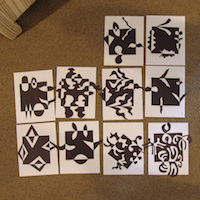 We toured the U.S. Botanic Garden; and saw “Ten Americans After Paul Klee” at the Phillips Collection; spent a day at a member’s sheep and goat farm and her Solitude Wool warehouse in Purcelville, Va.; toured the fabulous “Burning Man” exhibit at the Renwick, including sculptures in the surrounding neighborhood; and finished the year with the fabric architectural installations of “Do Ho Suh: Almost Home” and “Diane Arbus: a Box of Ten Photographs” at the American Art Museum. The Interpretive Stitchery study group was newly formed in 2015, with the focus on enhancing our skills at using hand stitching (e.g., embroidery, needlepoint, needlelace, cross stitch) as a means of artistic expression. In 2016 we expanded our focus to include both hand and machine stitching. Members establish their own challenges and meet periodically to discuss problems and design decisions, and offer critique to one another. The group meets during the day on the third Friday of the month. Knitting study group #1 is informal, with no set agenda. It is guild members who like to knit, sharing ideas, being inspired and help explore solutions for knitting tangles. Show and tell provides inspiration for everyone. Once in a while we’ll have a guest give a special workshop. The group meets the last Wednesday of each month at Alice Takemoto’s in Kensington, MD, from 10-12. 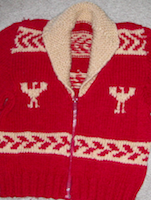 The group accepts members at the intermediate through advanced level of knitting. We invite you to join us and participate in the Third Thursday Spinning Study Group at the Palisades Public Library, DC (7:00-8:30 PM), meeting the third Thursday of each month. We have open meetings with varying agendas, learning from each other. We always have a round robin to hear what fibers people are working on and what projects. In the coming year, we will continue to recruit members with an interest and love of spinning. We are working on our goals for next year, staying open to the needs of our members as we pursue new spinning techniques and challenges. 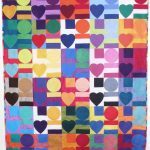 We’re a group of quilters and other fiber artists who meet in the Bethesda-Chevy Chase area on the first Thursday evening of the month to share our work——finished and in progress——to celebrate successes and support each other. We discuss techniques, designs, studio practice, and anything else fiber-related that the group is interested in. Group G emphasizes general weaving, and is open to all levels of weavers. The group meets on the 3rd Saturday of most months from September through May, from 10 – 12:30, alternating among members’ homes. We try to do one field trip per year. Meetings start with a program presented by a member, followed by sharing. And, yes, there is food. 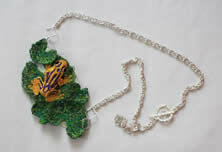 The programs are not always strictly about weaving, but are on topics of interest to fiber artists. In the 2014-15 year we will be studying linen and the challenges of weaving with this special fiber. We will continue our exploration of specific fibers, other than linen, at each meeting. 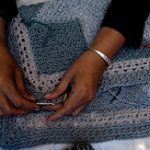 Sharing is an important part of our meetings; sharing is a time to show the group what members have been working on, to get inspired, to get feedback, and to get help for any weaving problems. 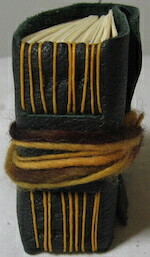 The Metro Multishaft Study Group explores weaving techniques for looms with 8 or more shafts. This year we will be studying parallel components of weaving design. We will be discussing the use of parallels in design structures such as shadow weave, double weave, and echo weave. Our discussions focus on weaving drafts, pertinent to the topic of the day, which we share with each other. Show and Tell is always a highlight of each meeting even when the item is different from the topic of the month. Meetings are held in members’ homes at 10:30AM on the second Friday of the month. We are actively seeking new members.